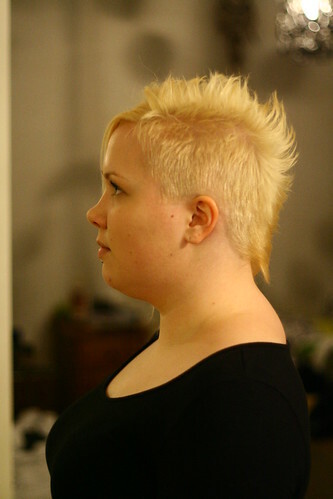 I think this is how high i want to go when i get mine in, or should i start quite small and take more off as and when? Only a lil one, but showing off my war wound with pride!!! Woah! How did you get that? That is one badass scar! I think im getting addicted to shaving ma head - sidey bit - little but i LOVE it! My undercut is up to my temples now. A bit higher on the right side than the other. I have a dread hawk now though, which is uber cool. I shall post pictures some time when I feel better. I eventually grew it out but got the itch again in 2010. 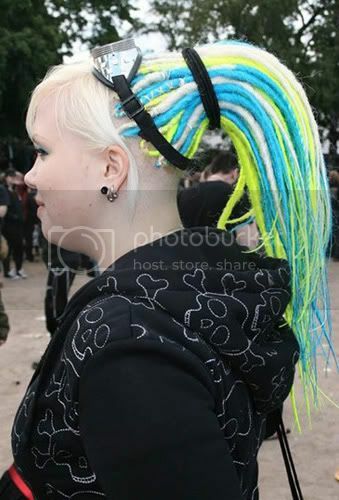 In the 2010 and 2011 pictures the sidecut is only on one side. 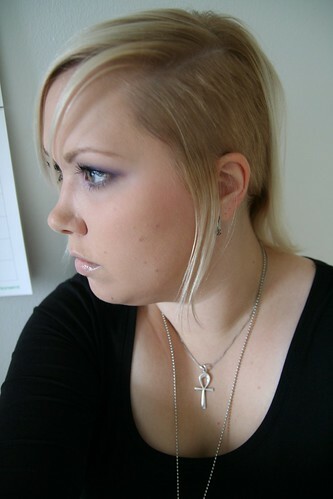 I had an undercut for 2 times, in 2008, but i shaved it poorly and not straight. 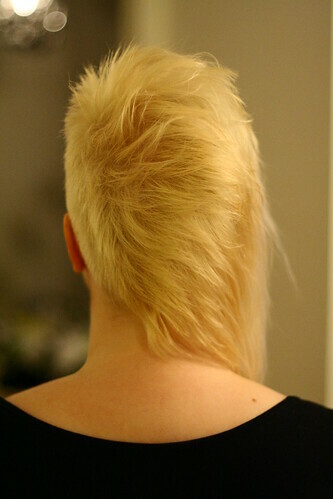 The next year, in 2009 I still really wanted it, and really straight. It was perfectly straight. 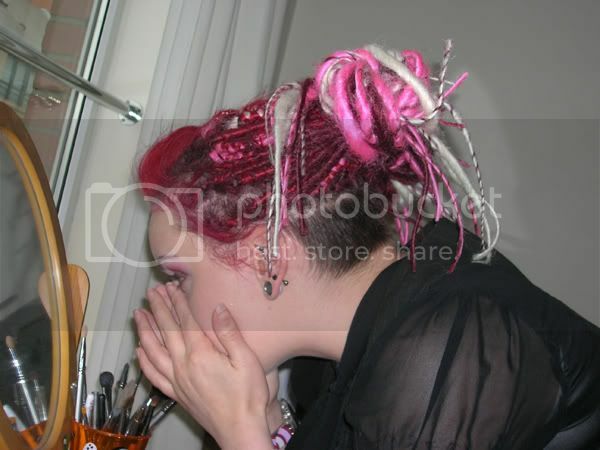 Unfortunataly I have no photo's of my undercut. And I was too lazy to shave it off. Grrrr. The next time will be in a month, i think. I LOVE this thread, it's cool to see how completely different the same style can be, you know? It's also a great research aid for people, girls especially, who are unsure if they want to take the plunge. I know I was pretty hesitant before I finally did it, but I found out quickly that nothing beats a shaved head. Sure fresh dyed hair is a great feeling and all but a shaved head is just ace. Both is even more fantastic. of course after having it for so long, it got larger over the years. Just this past November, I had a "mishap" and went too high. I lost way more weight on my head then I ever wanted to. 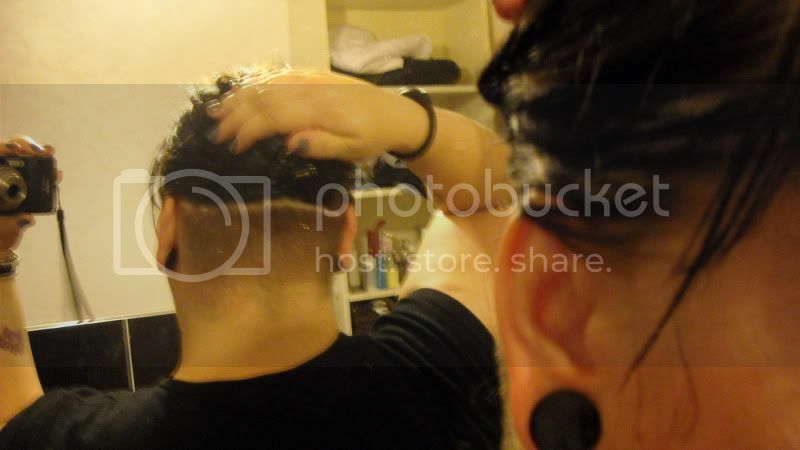 My hair is very thick, so even with an undercut, I still had a TON of hair. I've been 4 days without it and I feel so incomplete. I want to grow out what was lost, and what was damaged and then bring her back. I can't live without an undercut. Yeah, never shave the tails off!! I kept part of mine when I buzzed all my hair off & I'm so glad I did.